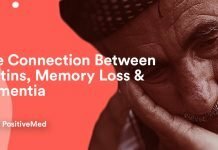 Home health sleep Melatonin Pills for Better Sleep, Is It Safe? Sleep. The ultimate bliss. There is perhaps nothing better than slipping into a deep, restful sleep after an arduous day. If you were denied that most simple of life’s pleasures, you’d probably do anything to get it back. That’s why many people turn to melatonin pills, the readily available natural sleep aid. If you’ve been eyeing the bottle on the shelf but want more information, look no further. Though commonly found over the counter these days, melatonin in the body occurs naturally in the brain. Release is largely dependent on natural light and, for the hormone that regulate the body’s circadian rhythm, proper timing is key. That’s why experts recommend avoiding artificial light before bedtime, especially blue light. Peak melatonin production occurs at the onset of darkness. At one point in human evolution, that meant sunset; these days, every room of the house is lit up and, even when we think we’re trying to sleep, the glows of our phones and our Kindles continue to cripple melatonin release. Here, blue light is twice as harmful, suppressing melatonin secretion two times longer and setting the circadian rhythm back twice as long as green light— 3 hours vs. 1.5 hours per 6.5 hours exposure, Harvard researchers found. For some insomniacs, the problem might be as easy as dimming the lights. 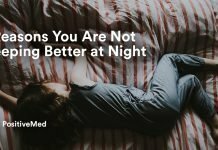 Typical room light shortens melatonin duration and inhibits melatonin release much moreso than dim light, leading to a later bedtime. A blue light filter for electronics can help, too. The blue light discrepancy extends to room lighting as well; while certainly more energy efficient, LED and fluorescent lightbulbs’ cool radiance aren’t doing anyone favors on their most restless nights. RELATED ARTICLE: Should You Be Taking Sleeping Pills? If you think your pineal gland needs some guidance in a confusion of artificial light, taking about 0.5 mg before bed might help you doze off. It also might do nothing at all. Though efficacious for changing sleep patterns and thereby useful to shift workers, melatonin pills as a working sleep aid have little data to back them up. They might help with jet lag or one-off days of restlessness, but for chronic poor sleep, prolonged use of a low dosage as a chronic sleep aid hasn’t seen much study. It has been seen that melatonin pills are no more effective than a placebo when given as a “sleeping pill”. Meanwhile, there are a handful of side effects people report: grogginess, short-term memory loss, headaches, vivid dreams, drowsiness. Some people may experience an allergic reaction to additives found in some less reputable pills. 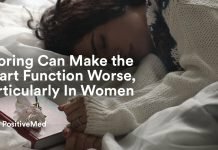 Though these symptoms clear up as soon as the supplement is discontinued, more large and especially long-term studies must be conducted before experts can come to a consensus on whether daily melatonin supplement consumption is safe and effective. 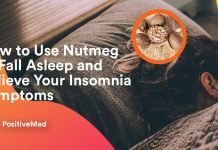 In light of the scarcity of research on the subject, it’s not generally advised that you turn to melatonin pills to face your sleepless nights. Sanjeev Kothare, MD, a professor in the department of neurology and director of the pediatric sleep program at NYU Langone Medical Center, points his patients in a completely different route entirely: he recommends patients try to maintain a consistent sleep schedule, especially across weekdays and ends; avoid blue light emitting electronics one to two hours before bed; and purchase a bright light source for use in the morning. Exposure to bright light during the day can help melatonin production as well, helping to eliminate the last dregs from the blood stream so that nighttime equilibrium is achieved on time. 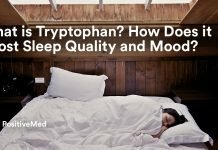 Chronic light suppression of melatonin has been linked to increased risk of some types of cancer, seasonal affective disorder, type 2 diabetes, and decreased ability to regulate blood pressure, glucose levels, and body temperature. Sunlight and appropriately bright lights regulate the body’s melatonin production, reversing this condition entirely. Because melatonin levels secreted by the pineal gland peak at 9 pm, any exposure to light after this time is doing damage to your sleep. Before you resort to an unproven dietary supplement that’s not necessarily suited to the task of sleep aid, look at quick, straightforward lifestyle changes. Adapting your routine to your body’s needs is scientifically proven to better your sleep and your health.